Contrary to the way we treat Romans, the book is not a systematic theology text. Paul wrote Romans as a missionary support letter. He tells the churches in Rome that he plans to visit them before initiating pioneer church planting in Spain, implying that he expects their assistance in this endeavor (Rom 15:28). For I want very much to see you, so that I may impart to you some spiritual gift to strengthen you, that is, to be mutually encouraged by each other’s faith, both yours and mine (Rom 1:11-12). What is this spiritual gift that Paul wishes to give? He states it clearly: “to be mutually encouraged by each other’s faith.” Yes, Paul wants the churches at Rome to support his ministry in Spain through their prayers and financial gifts. But Paul also sees himself as having something to give. By visiting the churches of Rome (churches that he did not start, by the way), he will be able to encourage and strengthen the saints. How will he do this? When he gets to Rome, he is going to “preach the gospel” to the saints there (Rom 1:15). Note that Paul doesn’t just preach the gospel to unbelievers. He wants to preach it to the believers who will potentially support his ministry as well. The letter of Romans then—with its clear and beautiful presentation of the gospel—is a preview of what Paul intends to do in person when he visits them. As a former pastor and current support-raising missionary, I embrace Paul’s model. 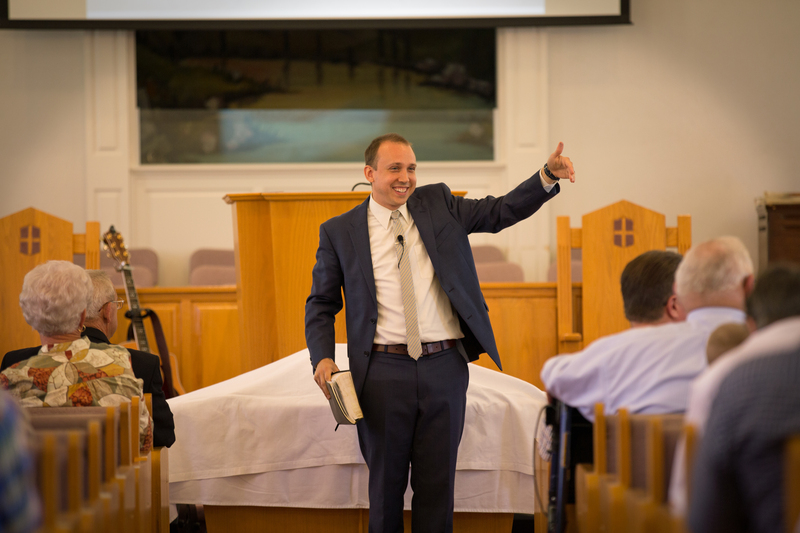 When I get the chance to visit a church, I call that Sunday “Gospel Life Sunday” not “Give Me Money Sunday.” My goal when visiting a church is simply to get to know people and preach the gospel. I want to encourage believers to live a Gospel Life. And I’ve found that if we do that then God takes care of our finances by making people excited about what he is doing through Gospel Life Global Missions. 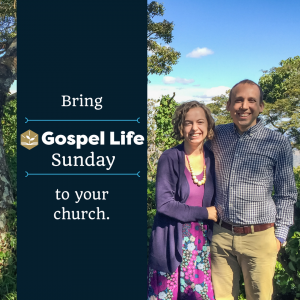 If you would like to bring Gospel Life Sunday to your church, email Josh. We are currently scheduling from August 2017 to May 2018 across the U.S.
*Even though I’m the Pauline scholar, I have to thank my wife, Stacy Leigh, for this observation on Romans 1:12.